London and Amsterdam are leading the elimination of greenhouse gas from transport. Oslo, London and Amsterdam are leading a shift by major cities to eliminate greenhouse gas emissions from transport, helped by new technologies that will help to curb climate change and reduce air pollution, a study showed on Tuesday. European cities filled eight of the top 10 spots, along with Tokyo and Seoul, in the ranking of 35 cities by the independent London-based Centre for Economics and Business Research (CEBR), sponsored by smartphone chip maker Qualcomm. 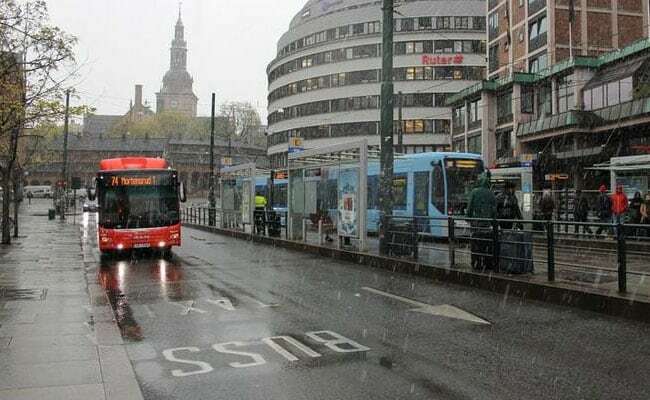 "Oslo is set to be the world's first city with a zero emissions transportation solution," according to the CEBR report, which gauges both existing policies and plans to promote greener transport with everything from electric cars to bicycles. The Norwegian capital's metro, trams and buses already run largely on hydro-electricity and Norway has the highest percentage of electric cars of any nation. The Oslo council also plans to sharply restrict cars to its city centre. The report said second-placed London "may not seem an example of a green city to all residents" but most rely on public transport, rather than cars, and are among the most energy-efficient urban dwellers in the world. "London is somewhat unfairly considered a smoggy, dark city," CEBR managing economist Nina Skero told Reuters. London also wants to cut greenhouse gas emissions by 60 percent from 1990 levels by 2025 and has promoted electric cars and bike-sharing, it said. CEBR's index included city air pollution as one of 20 factors. Among the others are city carbon emissions, levels of congestion, public investments in infrastructure, green spaces, charging points for electric vehicles, incentives for green travel and city commitments to low emissions. Oslo Vice Mayor Lan Marie Nguyen Berg welcomed the report. "Our ambition is to have a zero-emission transport system in 2030 at the latest," she said. Electric cars, for instance, made up almost 11 percent of the traffic passing toll booths into Oslo in January, against 7 percent in all of 2016. "The largest challenge, I believe, is lorries, trucks and construction," she said. U.S. President Donald Trump, who doubts that global warming is man-made, is considering whether to pull out of the Paris Agreement.